The Christian religion was founded in what is today Israel and Palestine 2000 years ago at the beginning of the Common Era. Christianity is based on the life and teachings of Jesus Christ, a Jewish teacher and prophet. Early Christians (followers of Christ) believed that Jesus was divine in that he was the son of God. This is a major difference between Christianity and Judaism and Islam, the two other major monotheistic religions. Judaism does not hold that any of their great prophets were divine. And although God spoke directly to Muhammad through the angel Gabriel, Islam does not give him the status of being divine. Although the early Christian church suffered persecution at the hands of Roman officials, the fact that Palestine was part of the Roman Empire facilitated the rapid spread of Christianity. Christianity, like Islam, is a proselytizing religion. This means that followers of these religions believe that it is their duty to share their religion and try to convert others to their religion. Early Christians came from the Jewish tradition, but they believed that the message and teachings of Jesus were meant for all people, and they used the transportation networks (roads, shipping routes) to spread the message of Christianity throughout the Roman Empire -or the Mediterranean World -areas of western Asia, North Africa, and southern Europe that bordered the Mediterranean Sea. Notice how close Africa is to Palestine where Christianity started. Given this proximity, it is not surprising that Christianity spread to Egypt and North Africa in the first century C.E. Indeed, Egypt, particularly the city of Alexandria, became an important center of this new religion. Unfortunately, Christians today don’t know much about the rich tradition of Christianity in Egypt and North Africa. This is because of the divisions that developed in Christianity in the first centuries of its existence. In many religions in the centuries following the death of the founder of the religion, their followers quarrel over issues of belief and practice. This is what happened in the case of Christianity. Unlike the case with Islam, in the early centuries of Christianity, there was no sacred text of the teachings and revelations of Jesus. Muslims had the Quran to guide them after the death of Muhammad. Jesus left no such written testament. There were, to be sure, many oral stories and recollections of the life and teachings of Jesus, but no official sacred text to guide the new Christians. Consequently, there were different interpretations of what Jesus’ teaching really meant. As a result, several different distinctive groups of Christians developed within the first centuries of the religion. One important group was centered in Egypt and had influence throughout North Africa. This group was known as the Gnostics. You probably have not heard of this group, although they were very important and influential in the early history of Christianity. One of the other major factions of the early Christianity was centered in Rome. This faction was very much influenced by the teachings of the Apostle Paul. This faction became prominent in the fourth century C.E. when the Roman Empire officially became Christian. Recognizing the importance of a sacred text in solidifying their control over Christianity, the Roman faction brought together a collection of writings by early Christians and proclaimed these writings were inspired by God and that they were the true testament of the life and teachings of Jesus. This collection is known as the New Testament and is a central part of the Christian Bible. However, in creating the New Testament the Roman faction rejected as heresy all other writings about Jesus’ life and teachings, including many books written by North African Gnostic Christians. No wonder so few people know of the importance of these early African Christians. In spite of the repression of the Gnostic Christians by Roman Christians, Christianity continued to flourish throughout North Africa until the arrival of Islam in the seventh century C.E. The Christians in this area were known as Coptic Christians, named after the main language of the area. By the time of the arrival of Islam, the Coptic Orthodox Church had lost most of the Gnostic influence, although the Coptic faith, like the Gnostics placed a great deal of emphasis on contemplation and monasticism. In structure, it was similar to the Church of Rome in that it practiced the same sacraments, and the church structure was made up of priests and bishops. Like the Roman Church, the Coptic Orthodox Church is headed by a Patriarch (similar to the Pope in the Roman Church) who lives in Alexandria. Even after Egypt had been taken over by Arab Muslims, the Coptic Christians continued to form a small but important segment of Egyptian society. Indeed, Coptic Christians today comprise approximately fifteen per cent of the Egyptian population. The kingdom of Nubia was located in present day Sudan. As you will remember, Nubia was an ancient kingdom whose historical roots go back to the time of the era of the Pharaohs in Egypt. [Module Seven A: History of Africa] Christianity was introduced in Nubia by Christian monks and traders in the fifth and sixth centuries C.E. By the seventh century, the rulers of Nubia and most Nubians had converted to Christianity. In practice and structure, the Nubian church was similar to the Coptic Orthodox Church in Egypt. Muslim Arab traders arrived in Nubia in the eighth century C.E. For the next few centuries, they lived in harmony with the Nubian Christians. However gradually, most of the Nubian ruling class converted to Islam. By the 16th century, the majority of Nubians were Muslims, and Christianity was no longer practiced in Nubia. The kingdom of Aksum (sometimes written as Axum, in English), founded more than 2000 years ago, is historically connected to the contemporary nation-state of Ethiopia. Ethiopia, which as we have learned [Module Seven B: History of Africa] was never colonized by outsiders, is the oldest continuous nation-state in Africa. In the fourth century C.E., the rulers of Aksum converted to Christianity after Christian travelers and traders brought the religion into the area from Egypt and western Asia. Over the next 1,600 years, a distinctively Ethiopian form of Christianity developed and became entrenched in Ethiopia. It is important to recognize that Aksum became a predominately Christian nation about the same time that the Roman Empire officially became Christian. This means that Christianity in this part of Africa was entrenched many centuries before Christianity was introduced into countries in northern and western Europe, areas that are normally associated with Christianity. By the time Islam was introduced into the region of north east Africa in the eighth century C.E., Christianity was firmly embedded in the structures of state, society, and culture in Ethiopia. While Nubia to the north west of Aksum and the coastal areas to the east of Aksum (current day Eritrea and Somalia) gradually converted to Islam, Aksum remained Christian. The Ethiopian Orthodox Church was similar to the Coptic Orthodox Church in Egypt and the Syrian Orthodox Church in western Asia in structure. Church leadership was comprised of nuns, priests, and bishops, with a Patriarch (Pope) at its head. As with the Coptic Church in Egypt monasteries that were home to contemplative orders of monks and nuns were important in the Ethiopian church. These monasteries were also centers of learning. Monks played an important role in writing and interpreting the history and traditions of the Ethiopian kingdom. In this role, they helped develop a common identity among the peoples of Ethiopia. A strong identification with the church and the kingdom of Ethiopia helped keep Ethiopia united and able to resist external threats. In the first millennium of the Common Era, Christianity had spread into North Africa and North East Africa from Palestine where Christianity originated. 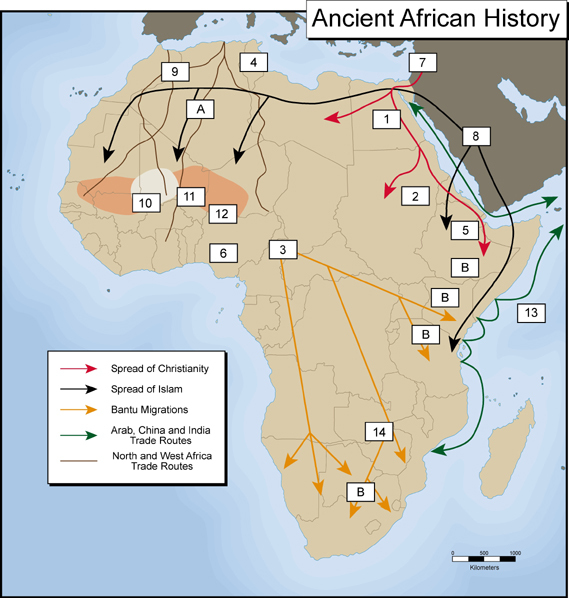 However, the successful spread of Islam into North Africa and along the coastal regions of East Africa put barriers in the way of the expansion of Christianity into the interior of Africa until the sixteenth century. As you will remember from Module Seven B: History of Africa, in the fifteenth century, European countries began to search for a new sea trade route to Asia. Spain supported the explorations of Christopher Columbus who believed that by sailing to the west, Spain could develop an new trading route to Asia. At the same time, Portugal was sending ships down the west coast of Africa in the hope that they would find a sea route around Africa to Asia. Refer to Map Exploration of Africa. As the Portuguese worked their way around Africa, they established contact with African peoples in the Canary Islands, Cabo Verde Islands, along the Guinea coast, in equatorial Africa (Kongo), Angola, Mozambique, and Kenya. In the early years of contact with African peoples, the Portuguese had a dual agenda. First to establish trade and secondly to spread the Christian religion. In their attempt to convert people to Christianity, the Portuguese supported Roman Catholic missionary priests. Using a similar strategy as the Muslims used in West Africa, these priests first attempted to work with the rulers of the African kingdoms with whom they had contact. They believed that if the rulers converted, their people would follow the example set by the ruling class. This strategy met with mixed success. Some African rulers rejected the efforts of conversion. The Portuguese missionaries had their greatest success in the Kongo Kingdom. Kongo speaking peoples lived along the west coast of African and along the Kongo river in the present day countries of Gabon, the two Congos, and Angola. The first contact between the Portuguese and the Kongo Kingdom came in 1483. By 1491, the Portuguese sent missionaries to the Kongo and soon afterwards King Nzinga a Nkuwu was baptized as a Christian, and he allowed his son Nzinga Mbembe to be taken to Portugal where he received a Catholic education. When he returned to the Kongo, he replaced his father as king and changed his name to King Alfonso I. King Alfonso I developed a close trading and cultural relationship with the Portuguese. Missionaries opened schools across the kingdom, and many Kongolese were converted to Christianity. The relationship between the Portuguese and Kongolese was mutually beneficial until the introduction of the slave trade in the seventeenth century C.E. The Portuguese did not raid the Christian Kongo for slaves, but strongly encouraged the Kongolese to raid neighboring non-Christian groups for slaves. Inevitably, slave raiding weakened the Kingdom of the Kongo until it was a weak puppet state of the Portuguese. In the eighteenth century, a young Kongolese woman, Beatrice Kimpa Vita, broke away from the Catholic Church claiming that St Anthony had appeared to her in a vision in which he encouraged her to form a movement that would lead to the restoration of Kongo kingdom. Beatrice Kimpa Vita taught that Jesus had been born in the Kongo and had been baptized in the Congo River and that the Virgin Mary also came from a neighboring area. She did not denounce the Pope nor did she openly work against missionaries, but she did develop an order of priests and a new Africanized church liturgy that included African music, drumming, and dancing. Her movement, known as the Antonine movement (named after St. Anthony), grew rapidly reflecting dissatisfaction with the Portuguese and her own popularity. However, Beatrice became such a threat to the Catholic Church and Portuguese control in the Kongo that in 1706 she was captured and burned at the stake as a heretic. The Antonine movement is an early example of what is called African Independent Church movement. Beatrice Kimpa Vita, sought to establish a type of Christianity that was independent from the European missionary church. In addition to claiming that Jesus was really from the Kongo, she instituted practices that were influenced by Kongolese cultural beliefs. In a later section, you will learn more about African Independent Church movements in the twentieth century. We could consider the Coptic Church in North Africa and the Ethiopian Orthodox Church as the earliest examples of Christian independence in Africa. For although these Christian churches had much in common with Christian groups in Western Asia and in Europe, in both teaching, beliefs and their practice of Christianity, there were significant differences from Christian practice in other parts of the world. Christianity had a seemingly contradictory relationship with the Atlantic slave trade. On the one hand, the Roman Catholic Church along with the main Protestant denominations in Europe did not oppose the slave trade. In some cases, Christian leaders actually argued that the Bible supported slavery and the slave trade. But even in the case of Churches that did not openly support the slave trade, by not providing a conscience against slavery and the slave trade, the Christian churches indirectly gave their blessing to the slave trade. Moreover, some churches benefited from the slave trade through financial contributions made by Christian traders whom had become wealthy as a result of their involvement in the trade. On the other hand, belatedly, in the late eighteenth and early nineteenth centuries, some Christians took leadership in the Abolitionist movement against the slave trade and slavery. Most Abolitionists in North America and Europe based their opposition to slavery on Christian beliefs. Quakers in particular took an active role in fighting against the slave trade and slavery. It is also very important to recognize the role of African Christians in fighting against slavery. Many African slaves throughout the Americas gradually converted to Christianity. As they learned to read, they read the Bible. Their interpretation of the Bible was very different than the interpretation of White slave holders. African Christians believed that the teachings of both the Old and New Testaments were in opposition to slavery. African slaves, ex-slaves, and Christians in Africa used Christianity as a foundation for their opposition to slavery. What caused this rapid expansion of Christianity? There are many factors that contributed to this growth, but the most important historical factor undoubtedly was the colonization of Africa by European powers. [Module Seven B: History of Africa] With the coming of colonial rule, a mutualistic relationship developed between colonial rulers and Christian missions. Colonial rule provided a politically peaceful and supportive environment for the work of Christian missionaries. At the same time, colonial governments saw Christian missionaries as important allies. Colonial officials believed that Christianity would provide support for colonial rule. That is, they believed that Africans who converted to Christianity would be likely to see the value of colonial rule and would not oppose European rule. However, as you will remember from Module Seven B: History of Africa, this was not always the case. Many of the early African nationalist leaders were educated Christians. The symbiotic relationship between colonial governments and Christian missionaries was strongest in colonies that did not have large Muslim populations. As you remember, colonial governments established systems of indirect rule [Module Seven B: History of Africa]. In colonies that had large Muslim populations, colonial governments discouraged Christian mission work since they did not want to offend Muslim leaders and jeopardize their alliances with these leaders. If you examine the map of African Religions, you will notice how few Christians there are in North Africa and in predominately Muslim countries of West and North East Africa. The rapid expansion of Christianity in Africa is in marked contrast to the expansion of Islam into the interior of West and East Africa. You will remember that the adoption of Islam was a gradual process in each area, often taking centuries before entire communities became Muslim. Islam, of course, did not have the benefit of the support of colonial governments, nor did they have large number of missionaries working in Africa. Beginning in the early nineteenth century until African colonies became independent more than a hundred years later, many thousands of Christian missionaries from Europe, North America, and the West Indies worked throughout the African continent. While European colonialism facilitated the work of Christian missionaries, these missionaries did not come to Africa because they were invited by colonial governments. The primary agenda of the missionaries was to spread Christianity through the conversion of as many people as they could reach with their message. If the goals of Christian missions were independent from the colonial agenda, why didn’t Christian missionaries work in Africa in large numbers before the beginning of the colonial era? This is a good question. European and North American missionary endeavors were directly tied to a Christian revivalist movement that occurred in the nineteenth century. Religious revivals occur in all religions, including Christianity, Islam, and Judaism. These movements often occur at a time of social upheaval and uncertainty when religious leaders encourage people to return to a stricter religious practice. A central message of the nineteenth century Christian revival was a call for proselytization. Christians were strongly encouraged to spread the Christian message to all regions of the world, including Africa. Christian missions in Africa were established by a variety of Christian denominations. Many different Roman Catholic orders established mission work in Africa, as did many Protestant denominations. In fact, it would difficult to identify a Protestant church in the early twentieth century that did not have mission work in some part of Africa. Moreover, missionaries did not only come from predominantly White churches. The African Episcopal Methodists and National Baptist Convention, among other African American churches, had active mission work in Africa. The primary goal of Christian missionaries was to convert as many Africans to Christianity as possible. To facilitate meeting this goal, missionaries concentrated their efforts on teaching and preaching about Christianity. To reach the vast majority of African people, missionaries had to learn their languages. To further interest in and understanding of Christianity, missionaries worked to translate portions of the Bible into local languages. However to read the newly translated Bible, people needed to learn how to read. Consequently, education and schooling became important additional goals of Christian missionaries. All over Africa, wherever missionaries went, they opened schools. At first, the main focus of these schools was to teach reading and religious instruction. Missionaries believed that the ability to read the Bible was of vital importance in the conversion process. This focus is not different from the Muslim Quranic schools that focused on the learning of the holy Quran. In addition to their work in education, some mission societies were actively engaged in health work, opening hospitals and clinics in rural and sometimes remote areas. Click for Photographs of schools and hospitals. In all of their activities -evangelism, education and health care -missionaries brought with them values and attitudes that reflected their understanding of Christianity and their view of African religions and cultures. For many missionaries, it was hard to separate basic Christian values and teaching from their European or American culture. Consequently, many missionaries adopted widely held beliefs among Europeans and Americans of that day. Many believed that European cultures and social structures and practices were superior to African cultural and social structures and practices. Indeed, many believed that African cultures were primitive and that only through exposure to Christianity and Western culture would Africans be able to develop as individuals and as communities. This perspective provided a lens through which many missionaries interpreted their experiences in Africa. Unfortunately, this lens provided a distorted and inaccurate understanding of African cultures, social practices and religions. However, as Christianity became established in Africa, African Christians using their interpretation of the Bible and the teachings of Jesus, challenged distortions on the part of missionary understanding and practice. From earliest times, many Africans embraced Christianity, but they did not always embrace the messengers who brought Christianity to the continent. As early as the eighteenth century, there was the example of the Kongolese prophet Beatrice Kimpa Vita who developed an African Christian movement that opposed some of the teachings and practices of the Roman Catholic missionaries in the Kongo. By the late nineteenth century throughout the continent, there were African Christians who decided to break away from missionary churches and form their own churches. Over the past century, there have been wide variety of African Christian movements, some of which are quite different from one another. 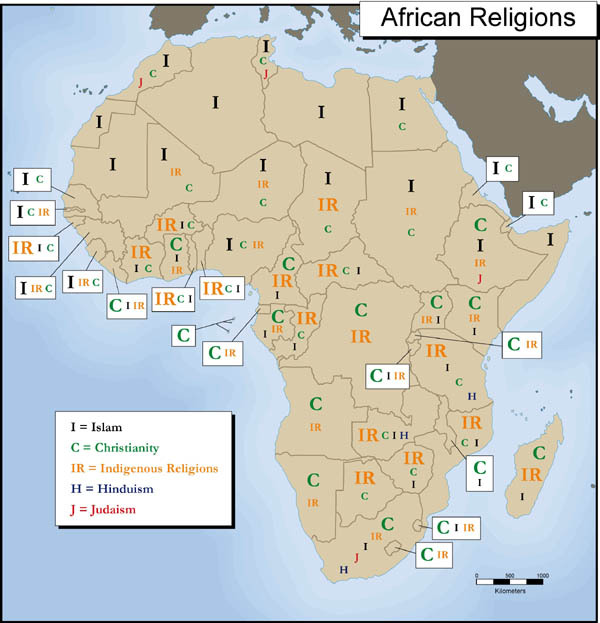 However, in spite of these differences, scholars call these churches African Independent Churches (A.I.C.) since all of the churches established autonomy and independence from mission churches. Racism: Too often, missionaries were guilty of mistreating African Christians. Some missionaries accepted the popularly held notion that Africans were not intellectually or culturally equal to Europeans. These attitudes were a tremendous insult to African Christians and frustrated the attempts by educated African Christians to obtain leadership positions in the mission churches. Some African Christians believed that the only way that they could achieve positions of church leadership was to leave the mission churches and form their own independent churches free from racism and in which there would be African leadership. Rejection of African culture and religious beliefs/practice: Many missionaries considered African cultures and religions to be primitive and pagan. Consequently, these missionaries tried to force African Christians to reject most of their cultural and religious beliefs and practices. When African Christians read the Bible, they did not interpret what they read as condemning all or most of their cultural and religious beliefs and practices. Indeed, some African Christians believed that there are similarities between the practices recorded in the Old and New Testaments of the Bible and their own cultural and religious practices. Faced with continued missionary opposition to adapting Christianity to African culture, some Christian leaders decided to leave mission churches and form their own independent churches that incorporated aspects of African cultural practice that they felt were not inconsistent with Christianity. There is a wide diversity of belief and practice among A.I.Cs. 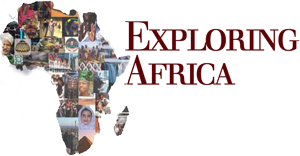 Indeed by 1980, there were more than 7,000 different independent groups with a membership of more than twelve million in Africa. In spite of differences between A.I.C.s, scholars who study these movements divide the A.I.C.s into two broad groups. I. Ethiopian Independent Churches. In spite of their name, the Ethiopian independent churches are not directly associated with either the country of Ethiopia -most Ethiopian churches are located in southern and West Africa -or with the long-standing Ethiopian Orthodox Church. The Ethiopian churches received this designation because of the number of times that Ethiopia is mentioned in the Bible. To the early leaders of African Independent Churches, these representations of Ethiopia demonstrated God’s long-term interest and involvement in Africa. Ethiopian churches were founded by African Christians who were directly engaged with established mission churches but who were frustrated by the racism in these churches that kept them from achieving positions of leadership. Ethiopian churches did not differ much from mission churches in basic teaching and worship. The primary difference was in leadership. Whereas the leadership of mission churches was exclusively missionary, the leadership of the Ethiopian independent churches was exclusively African. Two of the earliest Ethiopian Independent Churches were formed in the late nineteenth century in southern Nigeria where missionaries had worked for nearly a century. In 1889 a Baptist minister, Vincent Mojola Agbebi, broke away from the mission Baptist Church to form the Native Baptist Church. Three years later in 1891, Bishop Samuel Ajayi Crowther, the first African Anglican bishop, broke from the Anglican (Episcopalian) church in Nigeria to form the African Anglican Pastorate. In both cases, these distinguished African churchmen felt that the mission churches discriminated against African leadership. From this beginning in Nigeria, many new churches were formed in West, East, Central, and Southern Africa by African church leaders who were frustrated by the racist attitudes of the established mission churches. II. Zionist Independent Churches: Zionist independent churches are also known Spirit churches because they emphasize spiritual and physical healing through the intervention of the Holy Spirit. This emphasis reflects the influence of African religious belief and practice. Zionist prophets, as their leaders are called, in many ways are similar to priests and healers in African indigenous religions. Zionist worship is characterized by singing, dancing to drums and other African musical instruments, possession by the Holy Spirit, and healing of illnesses. Zionist churches brought together elements of Christian and indigenous African religious belief and practice. Christian Zionism is not a rejection of Christianity. Rather it is the adaptation of Christianity to African cultural values, beliefs, and practices. Zionist Christians can be distinguished from followers of Ethiopian churches by their distinctive style of dress. Both women and men wear long gowns of solid colors. Each Zionist group has their own insignia that are often sewn on pockets or on their head-dress. Many Zionist groups, although Christian, follow the Old Testament Jewish tradition and observe Saturday as their holy day. Whether in the cities of Durban, Harare, Lusaka, Nairobi, or Kinshasa, it is not unusual to see groups of Zionist worshipers with their distinctive uniforms meeting in open spaces throughout these cities on a Saturday afternoon. In spite of differences between African Independent Churches, there are important areas of unity and commonality. These areas of unity are important in what they tell us about African articulations of Christianity. All A.I.Cs. are headed by strong charismatic leaders whom claim a direct relationship with God. There is a emphasis on direct communication with God through prayers, but also through dreams and possession by the Holy Spirit. Women play active leadership roles in many A.I.Cs. Adaption of Christianity to indigenous beliefs, values, and practice. In the early twenty-first century, African Independent Churches, particularly those of the Zionist persuasion, are the fastest growing religious group in Africa. Experts estimate that by the middle of this century over one third of the Christians in the world will live in Africa, and of this number, half will belong to African Independent Churches! Please answer the following questions and complete the attached exercises. 1. Based on what you have learned, what reasons can you give for why most Christians in Europe and North America don’t know more about the rich tradition of Christianity in Egypt, Aksum, and Nubia? 2. Why has Christianity been able to survive and thrive for nearly 2000 years in Aksum when Christianity disappeared in neighboring Nubia? 3. Why do you think that Beatrice Kimpa Vita formed the independent Antonine Christian movement in the Kongo? What was the reaction of the Portuguese missionaries to this movement? Why do you think that they had this reaction? 4. The greatest expansion of Christianity in Africa began with the larger scale arrival of missionaries in the late 19th and early 20th centuries. Some scholars who study Christianity in Africa suggest that this rapid expansion of Christianity in Africa was facilitated by a symbiotic relationship between Christian missionaries and colonial governments. List the ways in which (i) Christian missionaries and their activities may have helped colonial governments, (ii) colonial governments may have assisted Christian missionaries in their attempts at converting Africans. 5. What were the two main reasons why some African Christians broke away from missionary churches to form African Independent Churches? 6. In which ways do African Independent Churches, particularly the Zionist Churches, incorporate aspects of indigenous African religions into their beliefs and practices? 7. African Independent Churches are the fastest growing churches in Africa. In you opinion why is this so? This is the final activity in this module. Return to the curriculum, go on to Module 15, or choose from one of the other activities in this module.